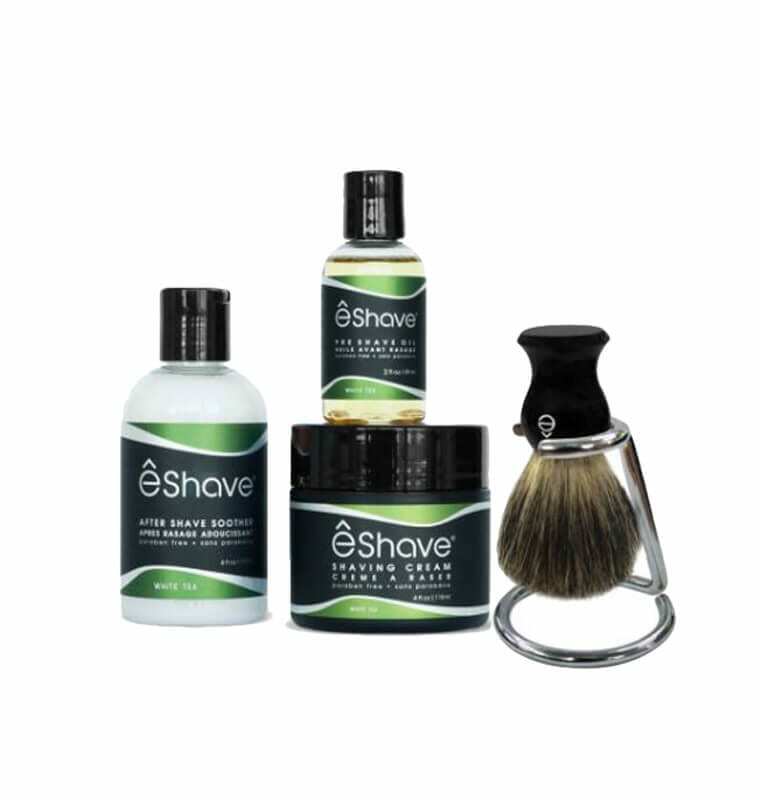 êShave S Stand Shaving Set with 5 Blade Razor and Badger Hair Shaving Brush. 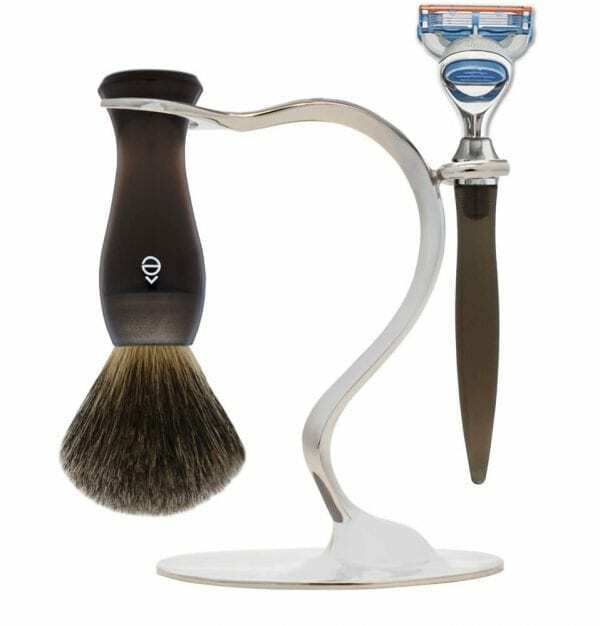 Elegance and Whimsy blend beautifully in this creative sculpture that evokes a feeling of free-flowing movement. 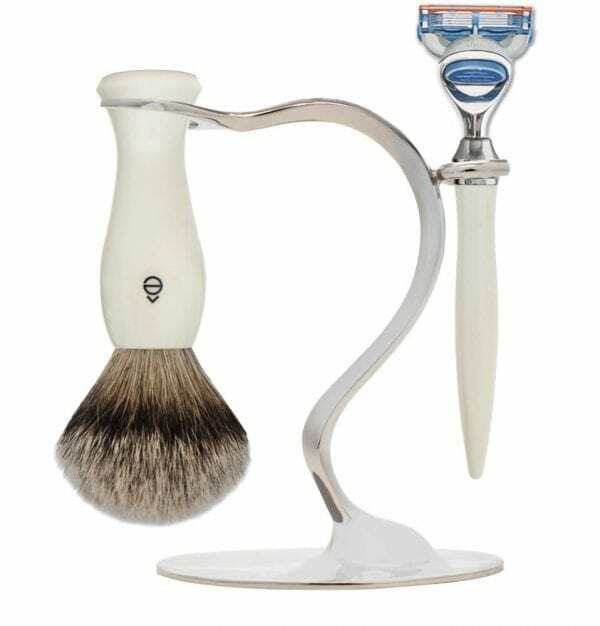 And form does not preclude: the shaving stand allows for proper keeping and display of both the Razor and the Brush.